With the advent of being able to edit blocks to our liking, and the advancement of tools to assist in their creation, I'm rather surprised it hasn't been more widespread. So, I figured a thread for people to show off their 3D models, as a veritable repository of inspiration for others. To start things off, some of my own creations. Show off? But I do that ALL of the time! 48 models, made up of 23 block models and 25 item models. All done by hand, with a text editor. Its always good to see what others come up with. 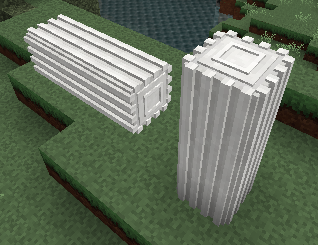 So far most of my 'models' have been just fixing the 'mistakes' of Mojang. Better item frame textures, better fences, removing hard coded colors from leaves, etc. Once I get done with all that, and with buying a house IRL, maybe I'll find time to warp reality a bit. 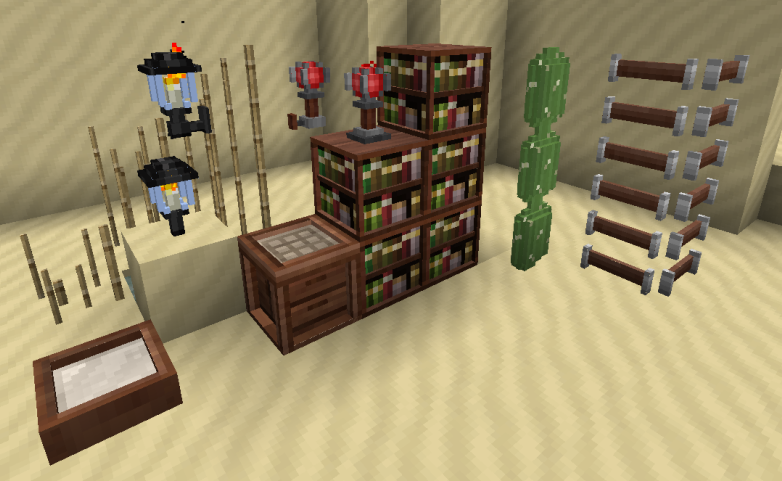 Totally digging that cactus model, cool idea..
Roundy and less block looking but still very minecrafty, kudos. 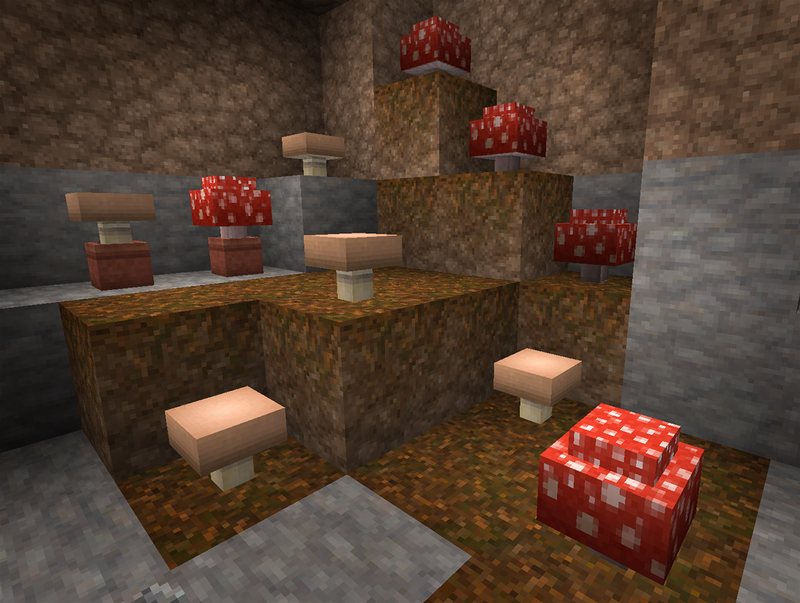 I've just done the mushrooms, as well as get most of the blocks to show up as blocks in the inventory. Very nice mushrooms. I plan on doing something similar with mine. I just hope i have a little more time before 1.8 is released. Yeah, I'm not a fan of the "high detailed" models some people are doing. I just wanted to add some depth to the more flat objects, like rails and whatnot. BDcraft's Cubik makes the process super easy. Some limitations, but still fantastic. I would still be messing around with the rails if I had to do it by hand. 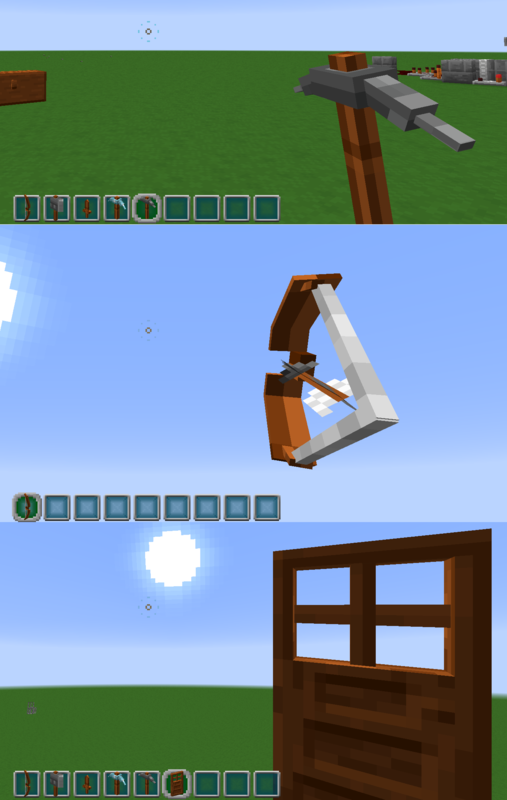 Yeah, there are a few edits I plan on making, like the UV on one side of the hopper, and making the underside of the crafting table something other then wood planks. Messed around with repeaters. Came up with this design while at work today. The "wires" coming off the side are for the input to make them "lock". Debating on if I want to keep them or if they will become confusing. Ahaha! That little button. I love it, perfect. Thanks. The origional texture, I wanted some sort of indicator light, and when I came up with the model, it just fell into place and worked out perfectly. I stil haven't had the time to update all of these to the new format, may just start over sense we can now do custom texture mapping. I can't wait to see what kind of stuff you do with the random model variants. Really cool. 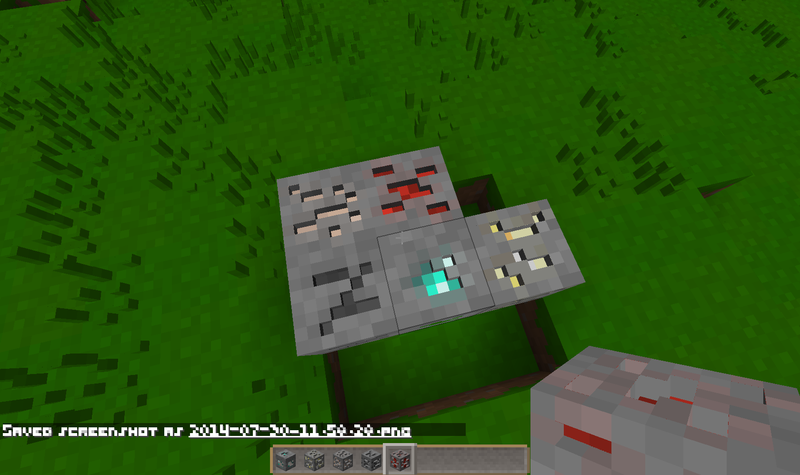 I especially like the redstone torch. 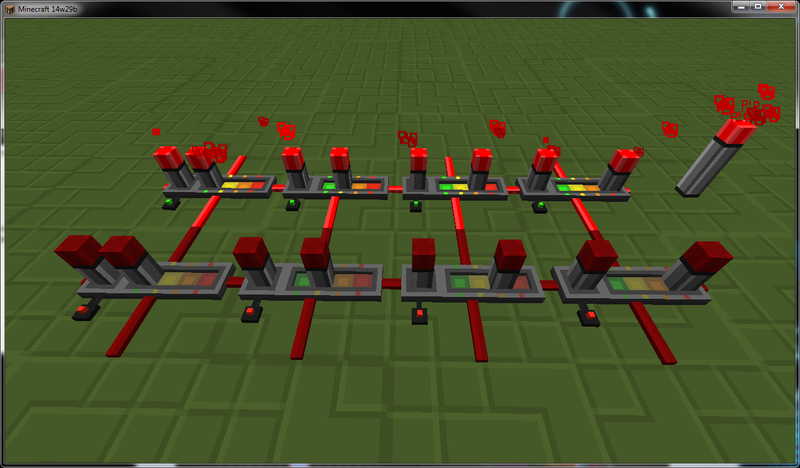 Not sure if this one counts as a 3D model, but it involved tinkering with duplicate model files and a blockstate file. 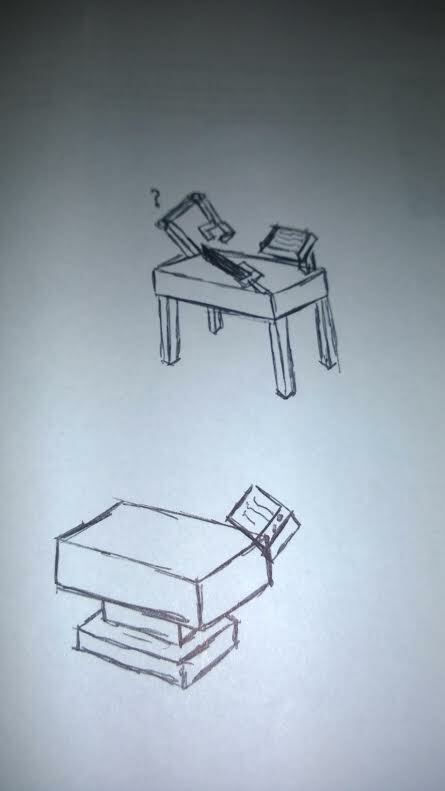 Then I came up with some concept drawings for the anvil. Not sure if I want to go complex or simple. Top: A work bench of sorts, with a computer screen and a robotic claw, with maybe a sword sitting on top. Borrom: A simple design, similar to the default anvil, but with a computer screen on the side. I made some bushes and changed the torch model. Much bigger fan of your grass and trees. Palette + interesting modeling design making for awesome foliage! I'm not really sure what you're talking about. What trees? I haven't changed any trees. 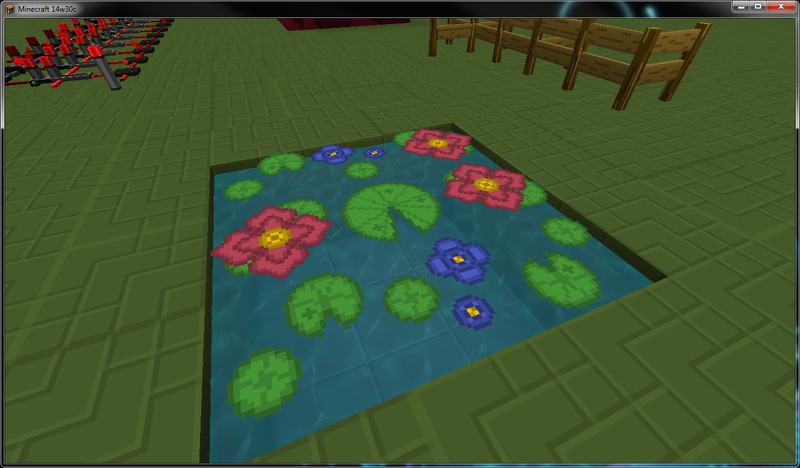 But yeah, the bushes were more of an experiment, I feel that they're too detailed to fit in with the test of the pack. Oh, shucks, I thought they were saplings. Either way, very pretty! Makin' progress on dem ores.